Designed for fast, easy "boltless" assembly. Features access from all 4 sides without any cross bracing. 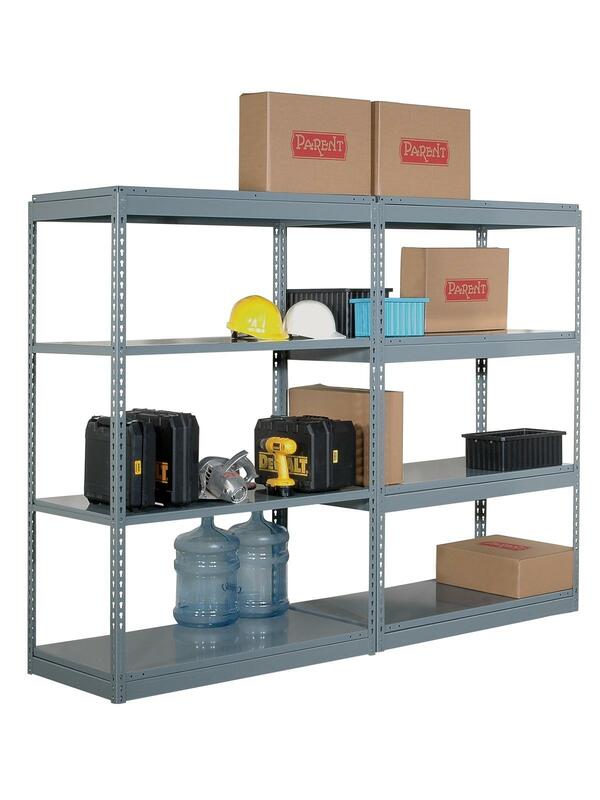 Industrial Boltless Shelving provides strong supporting power with time-saving assembly. 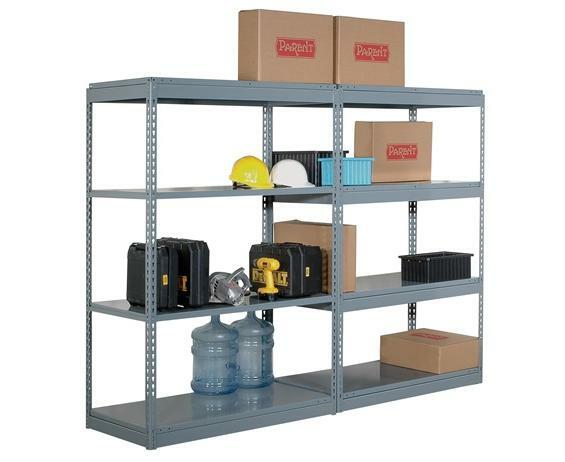 Steel shelves just drop into place - complete with 4 shelves per unit. Components snap together without any nuts, bolts or clips. Post and beams are 14 ga. with Gray polyester finish. Beams adjust on 1.5" centers. All units 72"H. so top shelf is accessible. FOB Shipping Point. W x D x H 36 x 18 x 72" 36 x 24 x 72" 36 x 30 x 72" 48 x 18 x 72" 48 x 24 x 72" 48 x 30 x 72"